Hershey After Show RV Sale: Up to $45,000 in Savings!!! Just because the Hershey show has come to an end doesn’t mean you’ve missed out on incredible savings! We’re hosting a huge after show RV sale! 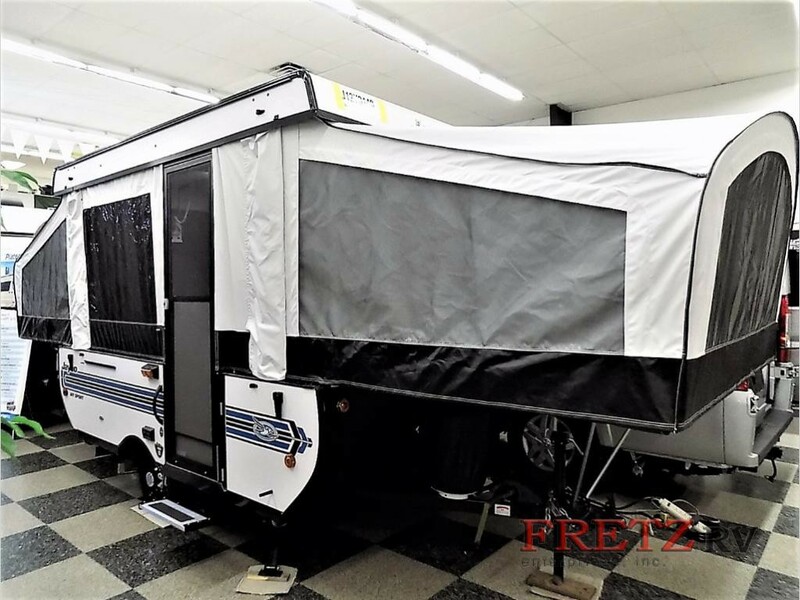 You’ll find tons of new RVs for sale right now at Fretz RV. Whether you’re looking for a luxurious motorhome, the perfect travel trailer, or an easy-to-tow pop-up camper, you won’t want to miss out on these outstanding savings! Just because the show is over, doesn’t mean your savings stop there! If you’re looking for the deal of the season, you’ve found it! The 2018 Jayco Alante class A motorhome sleeps up to six, features three slides, and will give you all the comforts of home with its gorgeous interiors. The Ford F53 chassis has a 6.8L Triton V-10, 320 HP gas engine and comes equipped with a 5,000-lb. rear hitch receiver with a dual connector, so you can tow a separate vehicle behind you with ease! The interiors are built with all the comforts of home including a full kitchen and bathroom, over cab bunk, and the queen bed in the master. 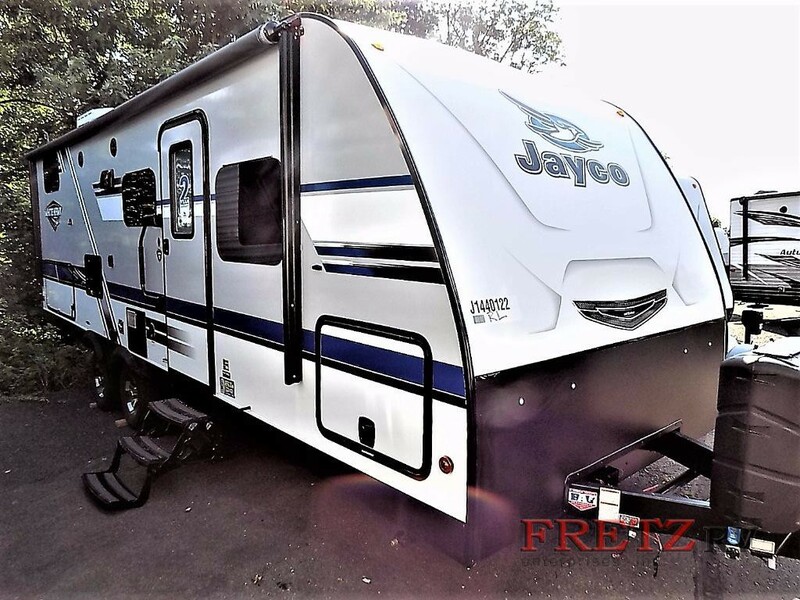 You could save $45,601 on this 2018 Jayco Alante today! If you’re looking for something a little smaller, the Jayco White Hawk travel trailer is the perfect option for anyone who likes to travel light! The White Hawk features double bunk beds, sleeps up to 7, and comes with a single slide to open up your living space. This travel trailer also comes equipped with an outdoor kitchen and 21′ electric awning, so you never have to waste a moment of the beautiful weather cooped up inside. Save big on this Jayco White Hawk travel trailer! Maybe, you’re looking for something even more compact! This Jayco Jay Series Sport pop up camper is the ideal RV for anyone who wants to maximize their time in the beautiful Autumn air! You can sleep five comfortably, and it weighs it at a hitch weight of just 180 lbs, so bringing it along is a breeze! The easy-to-use lifter system with wide lifter posts are integrated into the tent to make set up quick and simple, and the DuraTek Water-Repellent sectioned tent features 1,050 LB-rated beds! Explore more amazing deals on fifth wheels, travel trailers, and motorhomes at Fretz RV. Autumn is in full swing, and it’s time to head out to your favorite camping retreat! Prices like these won’t last long, so take advantage of these incredible after show deals! 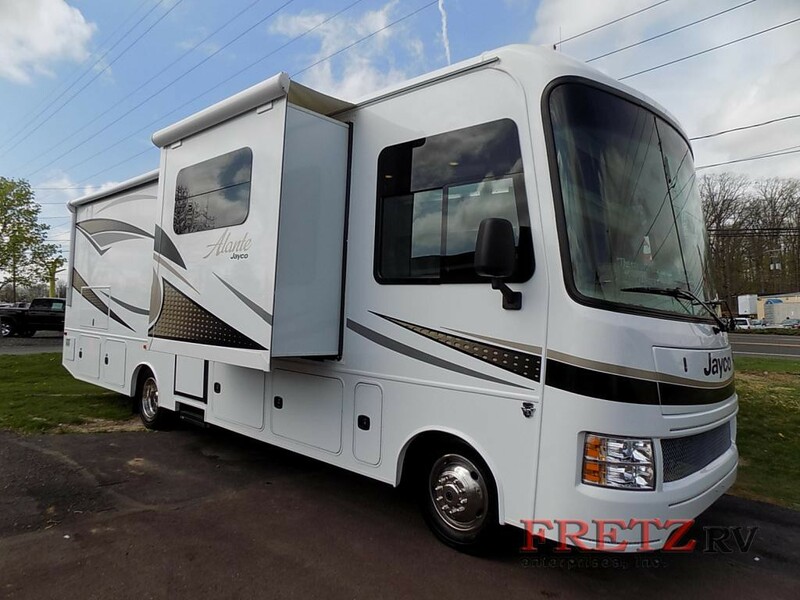 Find more RVs for sale at Fretz RV or contact us today and drive home the RV of your dreams!